Capturing beautiful destinations while roaming around the world is one of the most common things that most of us usually go for. It is the best way of keeping our memories stored in our bag pack for a long time. Due to the progression of technology, it has become our obsession up to some extent to create better pictures before and especially when we are traveling. We sometimes get so indulged with the technology that we enjoy the beauty of nature and the destination place through the eyes glued to your technical devices. We often try to capture the entire experience through our phones, following the maps and updating the social media status. Cinque Terre, Italy: – It is one of the most colorful destinations of the world which is situated on the rugged coastline of the Italian Riveria. It includes five small sea facing towns which consists of a series of picturesque, colorful houses. These are Monterosso al Mare, Vernazza, Corniglia, Manarola, and Riomaggiore. The main purpose of coloring the houses in different pastel shades is to identify the houses from the offshore easily. 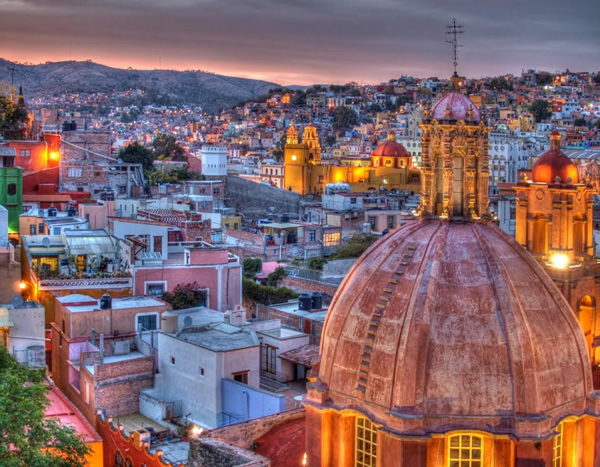 Guanajuato, Mexico: – It is another colorful site of the world which is also considered as the UNESCO World Heritage City. It was supposed to come into existence in the year 1559. It was considered as one of the leading silver extracting areas in the 18th century and hence the same reflected in the development of the colonial style homes around the mines. Antigua, Guatemala: – It is one of the prettiest and oldest towns of the Antigua considered to be found in the 16th century. The architecture of this beautiful city and the candy hues of its cottages make it UNESCO heritage site and one of the most colorful destinations of the world. Another best thing about Antigua is that it is surrounded by a number of Volcanoes which adds more to its beauty. 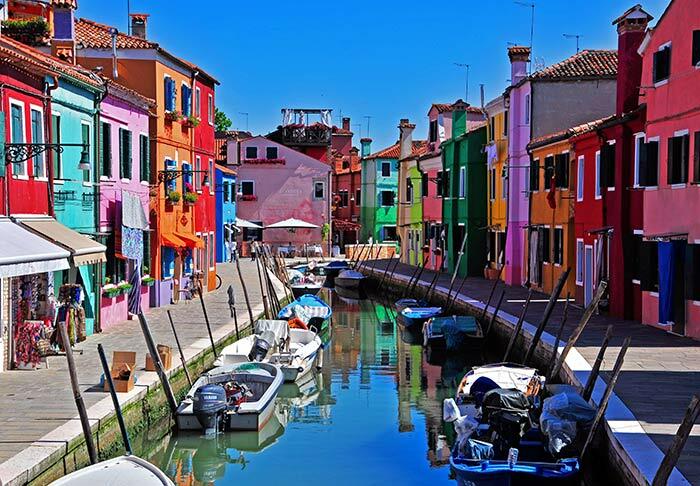 Via Galuppi, Burano, Italy: – If you are looking for one of the most colorful, romantic and scenic destinations for your holidays; it is a perfect destination you can go along with. The houses of this place are usually painted with Technicolor in order to prevent them during fog season. Jaipur, India: – Jaipur is considered to be one of the oldest and prettiest places which were entirely painted pink by the Ruler Maharaja Sawai Ram Singh in the year 1853 during the first visit of Prince of Wales; Edward. 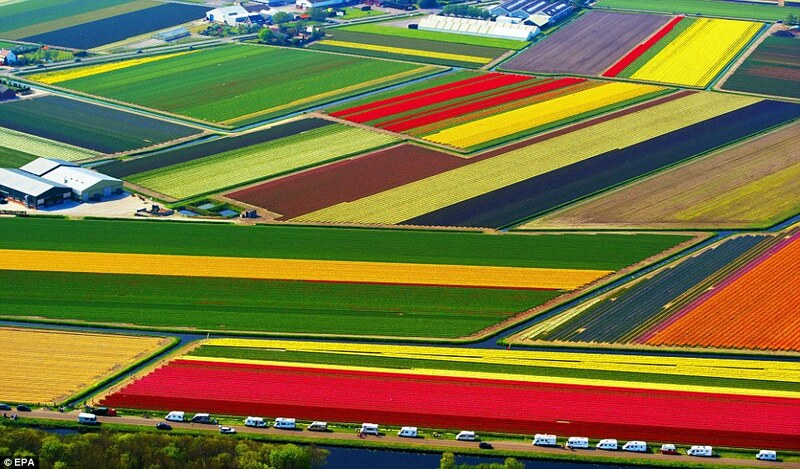 Tulip fields, Holland: – If you are a nature lover and planning to spend your holidays in the laps of nature then; tulip fields of Holland are the perfect destination place you can go along with. The ideal time to enjoy the beauty of flowers at their peak is around late April. Conclusion: – Just make your holiday memorable by planning a perfect destination holiday to these 6 most colorful destinations around the world. Just get your bag pack ready for the tour and explore the beauty of these places with your family and friends.